Matteo Guendouzi is a Paris Saint Germain academy product but he later left to join Lorient. PSG are now interested in him. Matteo Guendouzi arrived at the Emirates Stadium in July for £6million from Lorient and Arsenal boss Unai Emery has immediately integrated him into the squad this season. The young Frenchman has made 23 Premier League appearances and he has impressed in most of those games even though he hasn’t made any assist or scored for the gunners. Matteo Guendouzi has shown that he is an outstanding player in the last couple of months and a report by the Express claims that the Arsenal star is currently being monitored by Paris Saint Germain, and that they would need to offer £60million to get him if the gunners are ready to make the deal happen in the Summer transfer window. 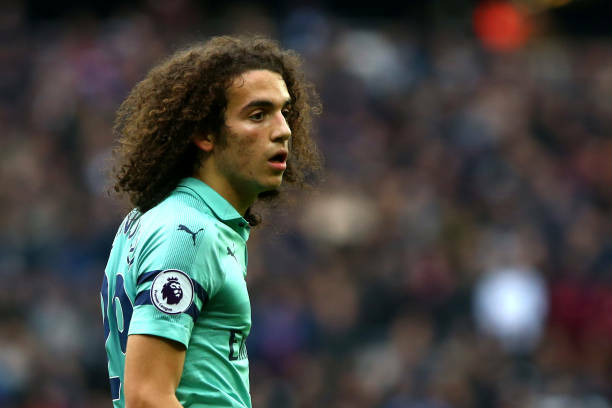 Matteo Guendouzi is just 19 years old and he has a great future ahead, so it would be a very big surprise if the gunners let him go after using him for just one season. And more importantly, the amount he is worth will keep increasing in the next few years if the gunners continue using him in the Premier League. Paris Saint Germain are a top European club and they usually prevail in getting their transfer targets but Unai Emery likes Matteo Guendouzi so much that he has played him in most matches in the Premier League. So even if the club would be tempted, Unai Emery wouldn’t be happy with this decision. Arsenal head coach Unai Emery will be on a tight budget in the summer and the amount he has will only be able to increase if he sells some players but Matteo Guendouzi is unlikely to be on the list of those that will leave.